In collectivist* societies around the world, older people (“elders”) are most often considered people of authority and esteemed for the wisdom they have cultivated during their years of lived experience. Traditional cultural norms in collectivist societies were that senior members were frequently cared for in their offspring’s familial home. Many collectivist societies ascribe to the law of filial piety: the important virtue and primary duty of respect, obedience, and care for one’s parents and elderly family members. However, in our globally increasing fast-paced world, long-standing cultural beliefs and traditions are slipping away. In 2012 China introduced the “Elderly Rights Law” to minimize the number of lonely elderly people by ordering adult children to visit their aging parents. While the law seems difficult to enforce, it does brings awareness to the importance of fostering loved ones’ spiritual and social needs for connection. Here in North America, we favour an individualist* society that values individuality and self-governance. I recognize that personally I have always strongly related to an individualistic world-view due to my lived experience. Anyone that knows me would probably describe me as “fiercely independent”. However, that is not to say that I do not value a collectivist world-view: it is something I greatly admire and sometimes feel a sense of yearning that I might have grown up feeling such a strong sense of connection and belonging. It has been my experience travelling abroad that non-Western cultures do honour their elderly more than the individualistic norm seen here in North America. With families I have met in South East Asia and India, children and young adults referred to me as “Auntie” as a show of respect to elders in general; this is also seen in our First Nations culture. As my parents aged, their needs increased and they each required (differing) supportive living environments. I found most of the senior residents at both my mother’s and my father’s facilities to be overwhelmingly Caucasian. I found this worthy of exploration. As a result, I have spent a considerable amount of time researching the well-being of seniors. What we know from the research, is that the most important determent of health and longevity is social connection. In a longitudinal study of 7,000 men and women commencing in 1965 it was determined that people who are disconnected from others are roughly three times more likely to exhibit signs of depression, physical ailments, and die sooner than those who expressed having satisfying relationships with family, friends, and their community (and to think we have been privy to this information for decades and loneliness continues to be an epidemic for seniors ☹). Interestingly, even those individuals who engage in unhealthy lifestyles such as smoking, poor diet, and lack of exercise who were socially connected exhibited greater overall health than those who were socially isolated. Most of us are familiar with the line from Robert Browning’s poem – it is often quoted at weddings and on anniversary cards. The sentiment is lovely. However, when we forsake all other social connections, when we put the bulk of our wellbeing in one basket (that being our connection to spouse/partner), what happens if they leave us (through separation/divorce, dementia, or death)? Sadly, this occurrence is all too real. My father adored his work and left little time to cultivate a wide social circle. He derived pleasure from traveling with my mother and envisioned retirement to offer him the time to do more of that. My mother developed Alzheimer’s disease. While my mother was physically “here”, my father was left to feel very much alone because the disease had ravaged who she was. My extensive training in mental health has allowed me to see that during my lifetime, my mother exhibited signs of depression. Depression that was compounded by her social isolation (my father traveled for work, and she did not have a solid network of social supports) that I believe greatly contributed to her Alzheimer’s (see here for more on this: https://blacksheepcounselling.com/2018/01/the-importance-of-emotional-expression/). 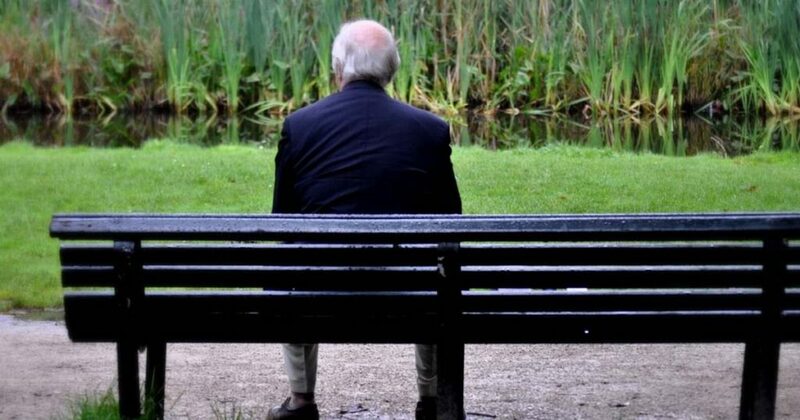 High levels of suicidal behaviour in older adults (65 years and over) is a major health issue in many countries and has a high correlation with limited social connectedness and bereavement of life partner. Although suicide attempts (SA) are more frequent among adolescents and young adults, older men and women show the highest suicide rate in almost all countries, reaching 48.7/100,000 in the USA for white men (more than four times the nation’s age-adjusted rate of 11.1/100,000). We humans are social creatures – we NEED to experience connection and belonging. When that is lacking, all facets of our wellbeing suffers (emotional, mental, spiritual, physical). If you are a senior and feeling socially isolated, please recognize that you are not alone, and that increasing social connection can help immensely. Working with a qualified mental health professional can help increase coping, decrease depression, and assist in formulating a tangible plan to help increase social supports and find a sense of belonging and meaningfulness. People from individualistic cultures are more likely to have an independent view of themselves (they see themselves as separate from others, define themselves based on their personal traits, and see their characteristics as relatively stable and unchanging). On the other hand, people from collectivistic cultures are more likely to have an interdependent view of themselves (they see themselves as connected to others, define themselves in terms of relationships with others, and see their characteristics as more likely to change across different contexts). While individualism/collectivism can be measured in any culture, much of the research so far has been conducted on East Asian and Western cultures. Researchers have found that Western cultures tend to be more individualistic while East Asian cultures tend to be more collectivistic. However, it’s important to remember that many factors can influence individualism/collectivism, so individuals within a culture can also differ in their levels of independence/interdependence. NANAIMO HARBOUR CITY SENIORS www.nanaimo.ca 250-755-7501 Oﬀers a complete range of cultural and recrea2onal ac2vi2es to anyone age 60+ (or anyone who has a partner 60+). Also oﬀers hearing and blood pressure clinics. Membership cost is $41.45 per calendar year. VANCOUVER ISLAND UNIVERSITY CENTRE FOR CONTINUING STUDIES – ELDER COLLEGE www.viu.ca/eldercollege 1-866-734-6252 Courses oﬀered at preferen2al rates for people ages 50+. ELDERS IN TRANSITION elders@nanaimohospice.com 250-802-9522 Moving out, moving in, moving on. The Hospice Shoppe supports seniors in transi2on and their families (free of charge) through a sensi2ve and prac2cal approach to the downsizing and/or disposi2on of household and personal possessions. GRIEF SUPPORT FOR SENIORS www.nanaimohospice.com 250-591-8811 Oﬀers informa2on sessions, individual counselling and group support for seniors dealing with care giving and loss. SENIORS CONNECT CENTRE www.nanaimoseniorsconnect.ca 250-591-2924 150 Wallace Street Free for adults 55+, wheelchair accessible. Drop-in on Mondays-Wednesdays 10am-3pm Come in, connect with others, enjoy refreshments, play a board game, cards and puzzles. Outreach services available for individuals dealing with isola2on. Free workshops on Thursdays and Fridays. France, M. H., Rodriguez, M. del C., & Hett, G. G. (Eds.). (2013). Diversity, culture and counseling: A Canadian perspective (2nd ed.). Calgary, AB: Brush Education.